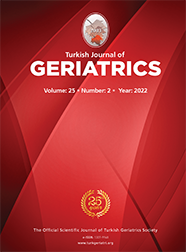 2Hacettepe Üniversitesi Tıp Fakültesi Ortopedi ve Travmatoloji Anabilim Dalı, ANKARA Introduction: The purpose of this study is to observe the effects of anesthetic techniques on postoperative morbidity and mortality during surgical treatment of the patients with femoral fractures. Materials and Method: A retrospective file review in Anesthesiology and Reanimation Department of Hacettepe University between 2000-2009 was done on patients operated for femoral fractures. Results: 83 (67.5%) females and 36 (29.3%) males, totally 119 patients were included to the study, and mean age was 79.5±8.2. Forty eight (39%) patients were operated under general anesthesia and 71 (61%) patients under regional anesthesia. There was no difference between mortality rates of the groups during intraoperative and intensive care periods and at first, third, sixth or twelfth months. Also, intensive care hospitalization rates and hospitalization periods were similar. Blood loss was significantly higher in the general anesthesia group (p=0.038). Intraoperative hypotension developed in 21% of the patients and was more frequent in the general anesthesia group (p=0.011). Postoperative serebrovascular accident was higher in regional anesthesia group (p=0.049). All over mortality rate for the study group was %20.3 for 12-months.